What I feel inside I can't explain. 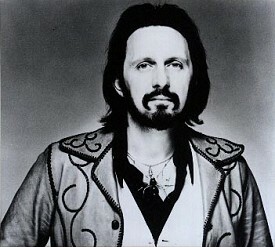 That John Entwistle should die in his late fifties is totally unthinkable. He was the indestructible one. He was the rock. He was the island. He was the fulcrum on which it all hinged. John was the best. He made "My Generation," along with the other lads, one of the greatest records of all time. For all bass players everywhere, it was Big Johnny Twinkle who opened the gate and let the horses out of the barn ...for good. Now, as Chris Butler reminds us, there is a Zen expression that the way to go through life successfully is to "move like a cow" --or, in this case, an ox. Forever surrounded, at least on stage, by the testosterone-soaked circus which were Messrs. Townshend, Daltrey and especially Moon, it could often be too criminally easy to overlook The Man, The Myth, dare I say The Ox which was, and forever shall be, John A. Entwistle. In more ways than one he was the George Harrison of The Who I suppose, yet Entwistle never ever took a musical back seat to his more prolific (or at least pushier) bandmates, employing his mighty four strings to not so much play songs as attack them, deftly bulldozing his basic bottom-heavy end up to an indisputable place of sheer sonic equality within the critical Who picking order. Then again, outside of The Who's stadium-approved confines, John's grim tales took on even more devious hues and cries. In fact, I for one would wager far more people perished within the verses filling Entwistle's solo albums than anywheres this side of a vintage Johnny Cash long-player. To whit, Teddy "Ted End" Greenstreet (prophetically?) passes in his sleep, the titanic trysters of "Love Is A Heart Attack," you guessed it, succumb to a joint carnal coronary upon "setting their pacemakers to a boogie beat," and sweet young dolly-dancers quickly become the death of the party as they innocently begin to Do The Dangle ( well there's a brand new dance with a brand new angle; it's the very last waltz and it's called The Dangle. You tie a rope round your neck and stand on a chair, and you kick it away and you're dancing on air!). My, but we can perhaps only imagine just what these three selections alone could have become if only they'd first surfaced in the prime of the MTV age. Oh! 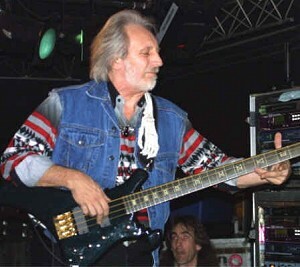 And did I mention too the limey-poor young Entwistle was forced to build his very first bass guitar from scratch? John was probably rock and roll's very first -- and probably last -- French hornist as well, plus his octave-bounding voice never feared soar from the operatic heights of (the Rolling Stones Rock And Roll Circus rendition especially of) "A Quick One While He's Away" deep down to the menacing, arachniphobic rumble of the aforementioned "Boris." The guy was also one skilled artist and particularly caricaturist to boot (again, check out the utterly underrated Who By Numbers for starters), and was even reportedly eight chapters into producing his too-long-awaited autobiography (like all bassmen, from B. Wyman to D. D. Ramone it seems, John was his band's resident archivist/historian) when, alas, Ted End came knocking on his Vegas hotel-room door smack dab upon the eve of the latest Who Redux Tour. Damn! Of course Pete and naturally Roger will carry on without either end of their original rhythm section now left standing ("John would've wanted it that way," as the Press Release goes), but The Who without the Loon, and now The Ox, isn't a matter I'll care to turn either ear towards anymore I fear. For wasn't it Moon biographer Tony Fletcher, for one, who pointed out the gnawing chasms separating a Good Band from --A TRULY GREAT Band? Or, in the words of no less an expert on the subject as Crawdaddy founder/publisher Paul Williams, "Great rock groups are miracles of human chemistry. Without the solidity and musical instincts and unique personality of John Alec, we would not have had the outrageous creativity and genius and maximum rock and roll of Keith and Peter and Roger ...or The Who at all. So we must thank him for making modern music as we know it possible." In his songs The Ox spent a lot of time playfully - and not so playfully - mapping types of hells, but that's just to say that beyond question his real place is in Heaven.